Today through June 4th, my Young Adult fantasy Ace can be downloaded for free over at Amazon.com! 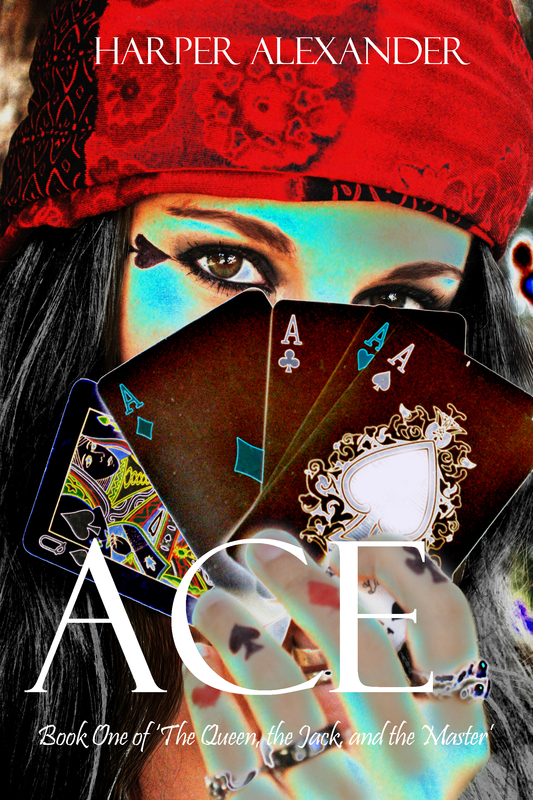 Ace is one of my less serious works – by which I mean, I wrote it largely for fun, and didn’t necessarily focus as much on the ‘art’ of the prose. Of course it ended up with an art all its own (just one a little more dependent on an edgy, sarcastic narrative than one of poetry) and also developed its own kind of depth. This is a work where, more than ever before, I allowed my silly side to come out, and just had a great time – but no work is complete without developing its own kind of meaning, which it did, and Ace (and its sequels) now have just as special a place next to my heart as all the others. If she had been so lucky, Ace might have received just such a warning. But the entirety of the point, here, is that she’s not. She has been chronically hapless from the web of the womb. Cursed with relentless, ruthless misfortune. Her very own entourage of bad luck, its signature everywhere, its shadow widespread and swift. The only compensation for this forsaken fate, destiny’s sole remedy: the fact that she is gifted and lucky at cards. Grossly lucky. But survival is far from sympathetic. And not all games are as easy as cards on a table. Categories: Books, My Books, Reading, Self-Publishing, Writing | Tags: Ace, Amazon.com, Arts, book, e-book, fantasy, fiction, free, self-publishing, write, writer, writing, Young-adult fiction | Permalink. You hear it more and more, these days – that success in the publishing industry is as much about luck as it is anything else. And the evidence of that is everywhere, really. Many a best-selling author‘s story consists of querying a bazillion agencies and almost giving up, or putting everything they had into their book until they were literally penniless, before all of a sudden landing that one break, catching a single person’s interest and taking off, much to the chagrin of all those who previously turned them down. Then there are the best-sellers that kind of just glided through their entire creation and query process and slipped right to the top, but in all honesty – many of us can’t say why they’re there. There’s nothing all that ‘special’ about them, and often there’s a common opinion that these authors can hardly even form coherent sentences. It’s frustrating to those of us who put lots of deep thought and professional effort into creating something we strive to make actually good, not just catchy or cool, and to those of us who were maybe at the top of any class that involved writing and therefore know we can write at least as well as we ought to be able to. And I’m not trying to speak big-headedly, here – I know there are many of you who can agree that you’ve opened one of those infamous best-sellers to investigate its charm, and have come to the same conclusion: I could have totally written this, if I’d wanted to. Often, with me, that’s accompanied by a ‘But of course I would never have wanted to’. I just feel as though there are many books out there, these days, that just aren’t that good. They’re the kind of thing that make it easy to say ‘If this can be published, so can I’. But somehow, it’s not that easy. Not by a long shot. The fact that Twilight got published doesn’t make anyone the least bit more interested in our equally-passable if not (I’m going to be presumptuous here, but not just on my part – on yours, too) superior work. So what gives? Well, we answered that in the very first sentence of this post, unfortunately. Actually, you didn’t even need to read past the title. We kind of started with the main point and moved on from there. But there are some things in life that deserve (or demand) a ramble or a rant from time to time, and this is one of them. At least I think so. If you agree, then you’re reading this without the need to be rewarded for your time looking into it with anything more than the empathetic knowledge that someone else feels your pain in this matter. If not, then you’re probably reading this because you’re one of those looking for a solution. A trick to charm your way in with the rest of the lucky ones. Well, let me put it this way: if you’re one of the lucky ones, you’re one of the lucky ones. It likely won’t be any special ‘trick’ that gets you your break. The dice will either land on you or they won’t. Fate will either smile on you or pass you on by. BUT – while you’re here looking for solutions, we might as well dig up some tips that could boost your chances where ‘luck’ is concerned. Tip # 1: You can make the conscious choice to stick with natural-born talent and respectable hard work, or stop pretending all that matters and start writing Twilight. Tip # 2: You can write a million books. The more books you write, the better chance you have of one of them striking it big, or at least catching on. Tip #3: You can write NUMEROUS books, or perhaps short stories or novellas, and based on feedback or self-published sales take your writing in whichever direction seems to bring you the most success. Tip # 4: You can write TWO books (or a series), and max out the first volume with every manner of free promotion you can apply to it. You won’t be making money off of that first book, but ‘free’ things reach a HUGE audience, and if your work is something that the public will in fact take to, they’ll buy the second volume (and maybe the third/fourth/fifth/twenty-sixth. Tip # 5: You become famous some other way, and then tell your fans that you dabble in writing on the side and happen to have a self-published book they should check out. Or just write an autobiography, at that point, and you’re set. Tip # 6: Become RICH some other way, and invest in all kinds of over-the-top advertising that reaches essentially everyone. Tip #7: Write a million books and simply sell one of each. They don’t even have to be good. Probably, only numbers 2, 3, and 4 will be of any use. And of course, number 2 is only useful if we take out the ‘million’ part and stick in a more reasonable number. Perhaps ‘dozens’ is more realistic. ONE dozen is a good place to start. I’m a firm believer that hard work and dedication do pay off, so whatever happens – don’t give up completely. Unfortunately, I don’t think it’s written anywhere that hard work and dedication will make you famous, however, so my advice would be to focus instead on nurturing that small-scale loyal fanbase. Do what you can to expand, and get to know your readers! Find ways to interact with them! They’ll think it’s totally cool, and it will be rewarding for you as well. And if you strike it big somewhere down the line, you may just be happy you took the time (had the chance) to dedicate some attention to the few loyal readers that you could. My other general word of advice: don’t take the advice to quit what you’re writing to write Twilight. If you feel as though your work has soul, keep at it. If you must, write a Twilight-equal book as an experiment, under another pen name. If it works – great, you have a way to pay the bills while you follow your worthwhile endeavors. If not…at least you proved Twilight isn’t they key to everything, or the only hope for all of us who aspire to do so much more. Categories: Books, Self-Publishing, Writing | Tags: author, best-seller, fame, Publishing, self-publishing, tips, Twilight, write, writer, writing | Permalink. Come out of your shell, Effie! Everyone used to tell me I needed to come out of my shell. This was the single most resentment-inspiring sentiment I think I heard growing up. I was like – but my shell is where the voices are. They wanted to take me away from the voices. From my horde of imaginary friends, my innermost cloud of ideas, my bubble of imagination. I was the typical reserved/anti-social/shy introvert. Except that I wasn’t really anti-social – I just didn’t happen to care for what I saw in most people, or feel very inclined to add my two cents where they had all already added their ten to topics that weren’t even worth two cents to begin with. Okay, maybe that does make me anti-social. I just know I was perfectly willing and happy to be social if it was worth my time – if there was intelligent conversation to be had or if the people having it were actually interesting or funny or genuinely nice. Or if I just happened to like them, which wasn’t often, but happened once in a blue moon. Anyway, my point is that everyone was always trying to coax me out of my ‘shell’, and I couldn’t understand what the fuss was about. I liked it there. There was a lot of good stuff in that shell. It’s not like I didn’t have friends, and following the voices inside of my shell saw me self-published by the time I was sixteen. What more did people want from me? They seemed to want me to get out there and try new things. But why, begged the resistant voices in my head. Why, if I was already doing what I wanted to be doing? I tried other things as a kid – T-ball, barbies, bike riding, digging to China with tooth-brushes and burping my A,B,C’s with my boy cousins… I’d already been there and done that. They told me I shouldn’t limit myself, but I always felt as though that was a silly thing to say to someone in the business of imagination. Imagination is limitless. This has always been, and probably always will be, my stance. I’m not saying there aren’t things out there worth trying, or that I wouldn’t be happy that I did, or that you shouldn’t get out there and try those things. Trying things is great. I tried paintballing recently, and it was awesome. Experiences can only build character and add to the pot of material and experience that you can draw from. There is a world full of inspiration out there. I’m just saying that I’m not going to waste away in my ‘shell’, or fail at life just because I happen to think it’s warm and cozy (and bursting with aweseomeness) in there. I’m saying sometimes a shell is fine. Sometimes a shell has good things inside of it. There is a lot inside of a shell you can draw from, too. Diversity is great, but so is a deep connection to yourself, to the things that make you live and tick and breathe and imagine without all those other influences. Sometimes, the sweetest nothings are whispered inside of a shell. Sometimes there is a world all its own – maybe even two or three – inside of a ‘shell’. Maybe ten or twenty. I’m just saying it may be vaster in there than you think. And if you know someone whose life truly is suffering from shell-like inhibitions, perhaps telling said soul “You need to come out of your shell” is not the most inspiring or encouraging way to draw them out of said shell. Something to think about. Categories: Musings | Tags: animation, cartoon, creativity, imagination, introvert, shell, video, write, writer, writing | Permalink. Yale Student Marina Keegan, 22, Dies In Car Crash Days After Graduation (VIDEO). Write what you can while you can, people. You never know when your legacy might be all that’s left of you. My heart goes out to this young woman’s family. Categories: Uncategorized | Tags: legacy, motivation, writer, writing | Permalink. Just a good dose of sense that any self-publisher would be wise and savvy to heed. As I sit here trying to figure out precisely what I would like the main focus of this ‘writer’s blog’ to center around, the obvious occurs to me: I have recently undertaken the challenge/project of writing a book a month. I’ve been sitting here trying to figure out if I want to think of this (and if I want other people to think of this) as a writer’s blog, a reader’s blog, a self-publishing blog, or a general literary blog. I like (and have things to say and share) in all of these categories, but it’s nice to have a constant. Something everything else accumulates around. And, being the source of affirmation I have come to count on, she confirmed it: “Wellll – no one, I guess.” And there you have it. My unique undertaking to add to the subscription pool. Here’s how it works. Basically, as stated, I write a book a month. Thus far it has only been going on for two whole months, but – so far, so good. I was inspired to try this following a rather life-changing loss of a source of stability I had been counting on for my future, wherein I found myself asking: what am I going to do? With myself, my life, my career… As any aspiring writer can attest to, an aspiring writer does not typically pay the bills with their aspirations. While it is our dream to turn our passion into a career, it is a hard, hard market to get a good break in, and even if you have what it takes, it is often painstaking. You have to do something else along the way. And that’s exactly what I had been doing. ‘Doing something else’ while I kind of wrote on the side. Compared to most people, even many writers I know, I wrote a lot, but it was still at more of a ‘hobby’ level as far as time and attention went, because frankly other things were paying the bills. And there were advantages to only spending so much time and attention on writing. It meant that whenever I did write, I was totally eager to, and there was all this pent-up creativity just waiting to be unleashed onto that paper. But I started thinking to myself: what if I actually put as much time, attention, and effort into this as I would academic assignments or work? What if I actually treated it like a job, and set goals and deadlines for myself? I knew that such a clause had the potential to kill creativity and see me quickly burnt out, but the idea intrigued me. It certainly couldn’t hurt to try, and I was interested to find out if I could actually do it, and what kind of results it would produce. So I decided to go ahead with it. If it totally killed my creativity, I would cut back and loosen my expectations, but in the meantime I would surely at least make some decent progress. Well that was two months ago, now, and the trial has been thus far successful. I decided to set a quota for myself of 1,700 words a day, which by the end of a given month amounts to a nice, round, book-length 50,000. Sometimes I write less than 1,700, and sometimes I write way more, and sometimes the book ends up being 60-, 70-, or 80-thousand words, but so long as I reach at least 50,000, I’m perfectly happy to let it be whatever beyond that it aspires to be. Surprisingly, it’s quite easy to just sit down and write 1,700 words a day. Except where other engagements are concerned, that number is not an overwhelming amount of words for a writer. Who knew discipline was all it took? There are definitely times where it feels as though I’m burning out creative reserves, or where I feel the pressure of plotting and developing things on a schedule. There are many times I start second-guessing my work, thinking ‘What if I’m pushing it? What if this is junk? What if I’m ruining one of my babies or stifling its potential by pushing it through?’ But then I remind myself it’s a first draft, nothing is set in stone, and in the end, when it’s time to edit – if I like it, I keep it; if I don’t, I fix it. And it all comes together, and no world (mine, or that of the book) falls to pieces. And, as there’s no high like finishing a book, the gratification is proving enough to spur me on to the next project. Hopefully, blogging about it will only boost its energy. There’s nothing like having a sounding board, and a group of followers to be accountable to, to keep something alive and kicking. And if this project serves to inspire someone else along the way – I will be all the more glad I chose to blog about it! I would love it if you joined me on this journey. It is always a pleasure to hear from readers and other writers – and of course, as a writer, it is always the best kind of reward and fulfillment just to have readers. I will keep you all up-to-date on book progress and ideas, and hopefully we’ll all have some other literary fun along the way! There’s lots of fun stuff in the literary world to share and discuss these days. Let the official kick-off of the Book-a-Month project commence! Categories: Books, My Books, Writing | Tags: Arts, author, book, book lovers, books, bookworm, fantasy, fiction, indie, interesting hobbies, literary, novel, novelist, Publishing, read, reading, self-publishing, self-publishing success stories, summer reading, write, writer, writing, writing challenge, young writers | Permalink. While this is wildly true, I have to admit that my reading experience is, in fact, affected by the cover. This may be my own psychological glitch kind of thing (I would love to know if anyone else finds the same thing), but regardless; if I don’t like the cover, my reading experience suffers. This may be shallow-minded of me, and may in fact completely wreck my credibility as a true reader/writer. I feel as though others would be quick to insist that any true reader/writer can appreciate the soul of a book – that it’s all about the essence of the story and dragging the cover into it suggests maybe I’m more fitted to being one of those readers who buys books to put them on the shelf. But there’s just something about the cover that sticks with me as part of the essence of the book. It’s not as though it’s a face that someone couldn’t help being born with. It’s not as though it’s a face that shouldn’t have anything to do with the inner beauty of the thing. A book was not born with its cover. The cover is supposed to reflect what’s inside the book. It’s supposed to be created to draw people in to what’s in that book. It’s supposed to do as much justice to the book as it can. I’m the kind of person that loves to run her hands over the cover of a favorite book. The cover is a cherished part of it, to me. And if it’s not good – well, I’m not going to want to do that. The cover does feel like part of the soul of the book to me. When I read a book, the impression of the cover sticks with me even while my nose is stuck between the pages. When I think about the book – what comes to mind? The cover. When I tell someone about it, what comes to mind? The cover. Whether it’s a good book or a bad book, the imprint created for reference in my mind is the cover. What else are you going to picture when you reference a book? The white pages? The black ink? Perhaps the font? Maybe the way you pictured the character, or perhaps a place vividly described in the story. But the fact remains (at least for me) that the cover is one of those things that comes to mind first. My point being: I am here to confess that the cover of a book not only affects my reading experience, but influences whether or not I even read or buy a book. It can have a stellar title, and the most gripping blurb on the back flap I’ve ever read – but if that cover doesn’t do it for me, I’m likely to put it back on the shelf and never even give it a chance. Just because I know that cover will taint my impression. This seems like a crime shame. How many good stories am I missing out on? But for me, at least, it can’t be helped. Fortunately they seem to change book covers like clothes, these days, to reach a more diverse audience, and so there’s hope for some of these overlooked lovelies to be redeemed. Am I the only book-lover who feels this way? Is the only possible explanation that I am not, in fact, a ‘true’ book-lover, or that something traumatic must have happened to me in my childhood to leave me with such a bitter associative outlook? Please tell me I’m not the only one! 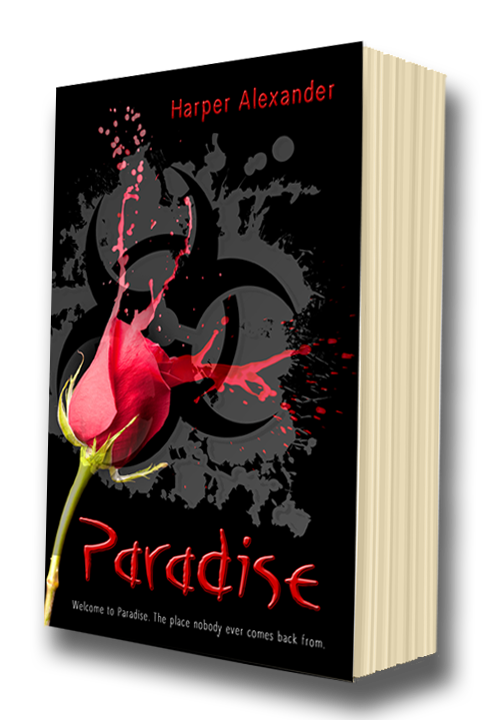 Categories: Books, Reading | Tags: author, book, book cover, book covers, book lover, book lovers, books, bookworm, can you judge a book by its cover?, literary, read, reading, write, writer, writer's blog, writing | Permalink.